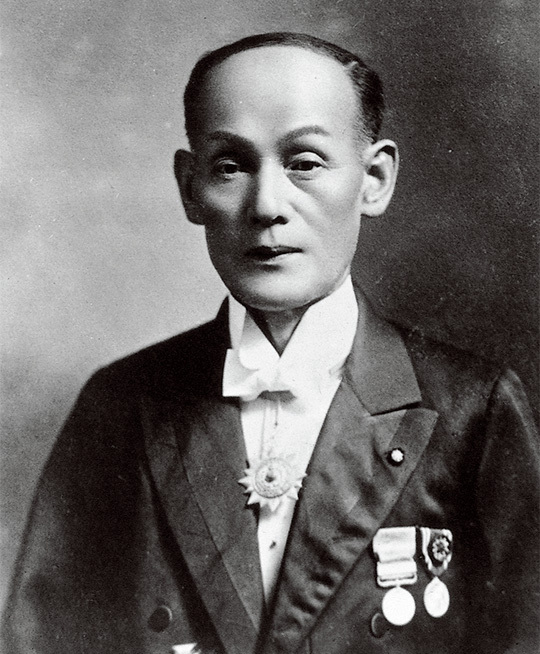 In 1887 Yamaha Torakusu establish a company which produces organs. Ten years later the company becomes part of the Nippon Gakki Company due to a merger. In the course of time, this company expands more and more and a larger range of musical instruments are produced and also the production of for example a record player started. During World War II the company also makes aircraft propellers. The machines used for this purpose, remain unemployed after the war. After a while Genichi Kawakami, who lead the company at that time, decided to look into another purpose for the machines. Finally he decides to use the machines to manufacture a vehicle that is on the rise: the motorcycle. He names the subsidiary and the new motorcycle brand which will be produced by the new company, after the founder Torakusu Yamaha.